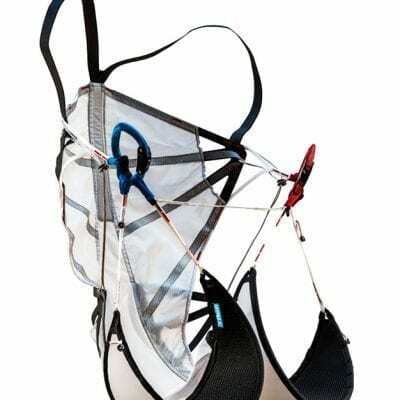 The regular standard paragliding harness for paragliding. 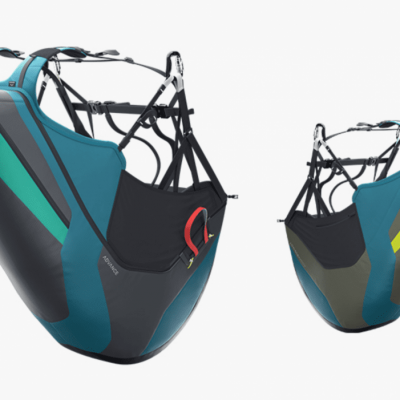 These are non-reversible and will mostly be of a lightweight design as this is the direction that all new harnesses now seem to be going. Why carry more weight up the hill than you need to? 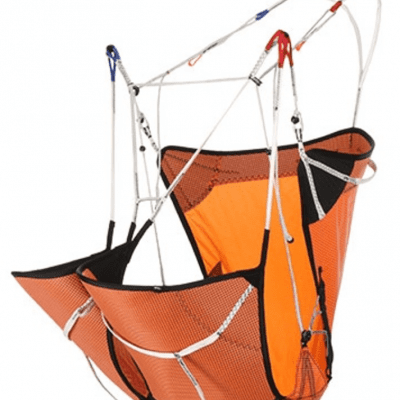 The standard paragliding harness is what most people get started with. 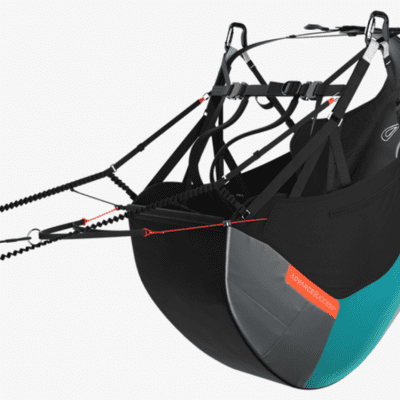 Simple in design with little in the way of bells and whistles, the standard paragliding harness is still the most popular that you will see out on the hill. 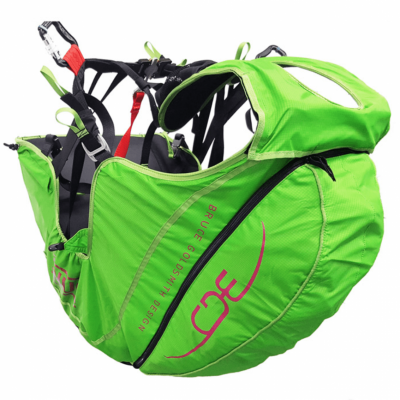 The standard paragliding harness is suitable for just about anyone from a complete beginner to someone just looking for simplicity. 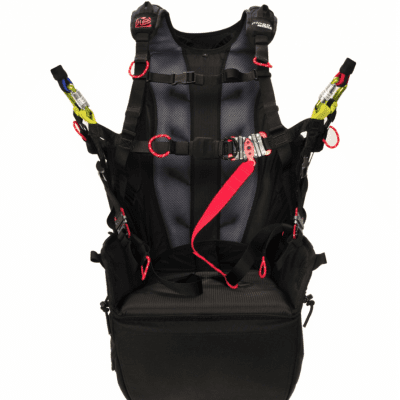 As already stated, most of the harnesses available are now very lightweight compared to just a few years ago. There are heavier designs available and these tend to be a little cheaper as a consequence. 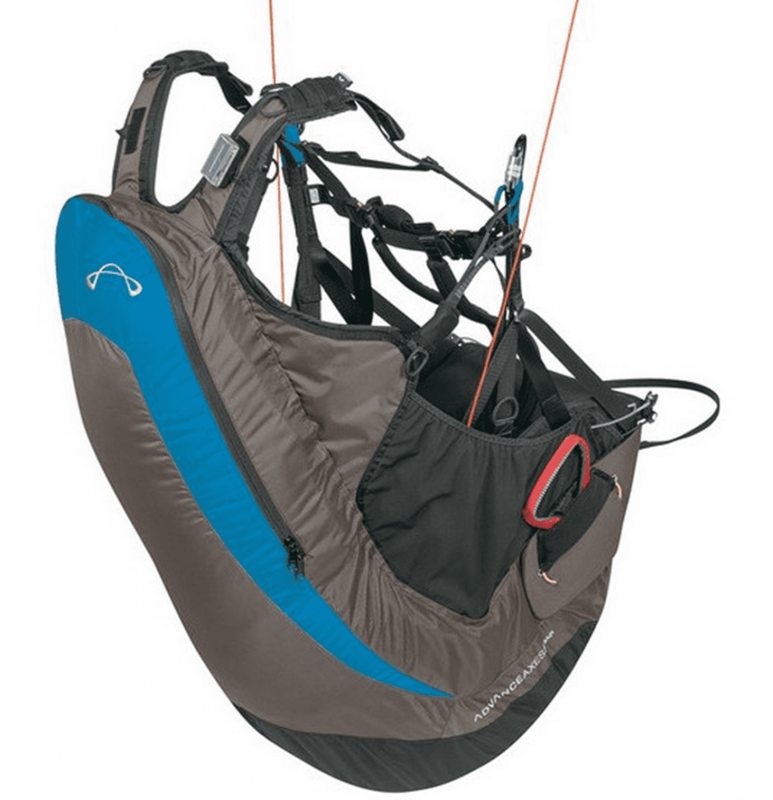 A typical standard paragliding harness is between 3.5kg to around 4.5kg. 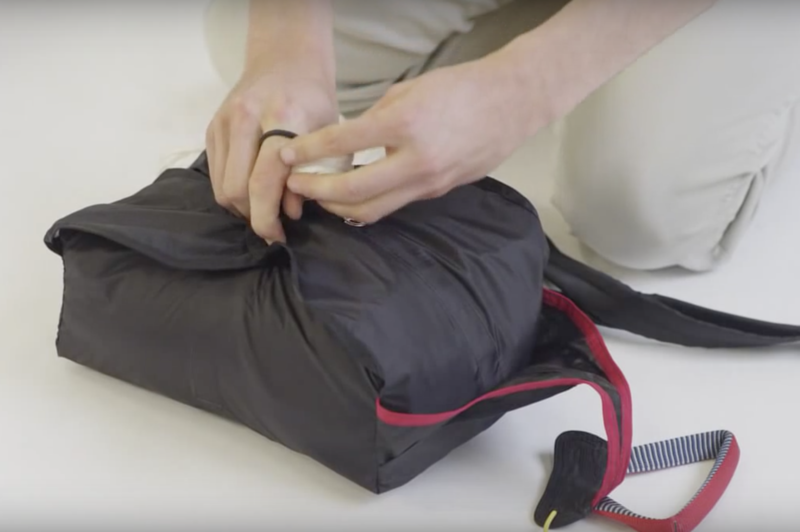 This helps to create an overall lightweight package that is easy to carry up the hill. 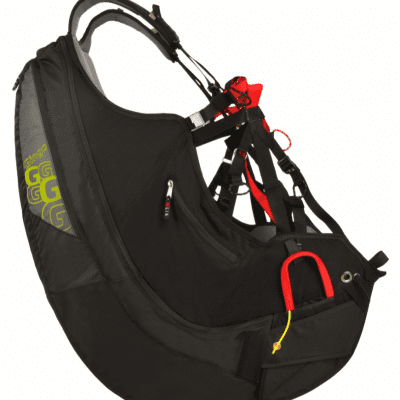 The standard paragliding harness usually provides the highest level of protection that you are going to find. The back protection system can be of the inflatable kind or a pre inflated type. Some harness actually has both. The pre inflated airbag is of a closed cell foam construction that is trapped within an airtight outer skin. 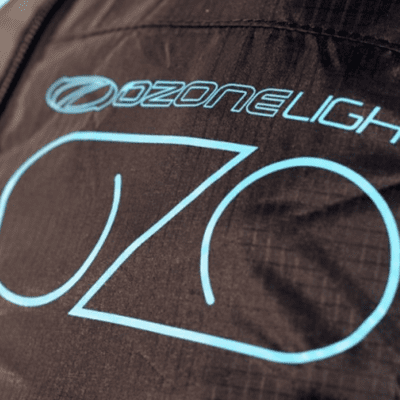 On impact, this will provide a controlled release of air to offer the most protection possible. 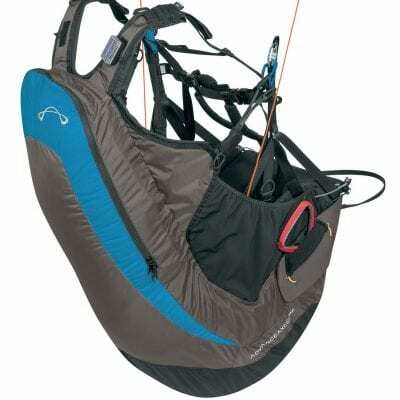 The inflatable airbag harness has an air scoop either underneath or on the side of the harness aimed into the airflow. 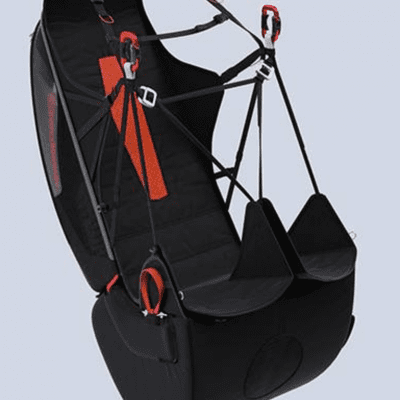 Soon after takeoff, the harness will fully inflate again providing an excellent level of back protection. 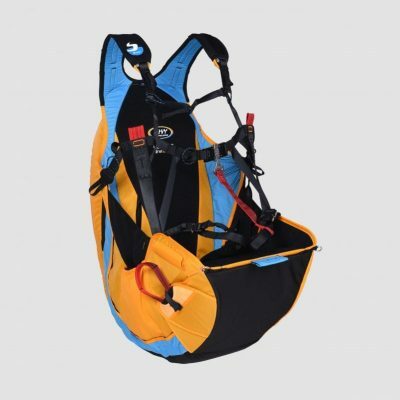 Because of the slight inflation time delay inherent with this type of harness, some manufacturers prefer to use a pre inflated back protector in the same harness as a backup. These kinds of harnesses offer the highest level of protection possible. 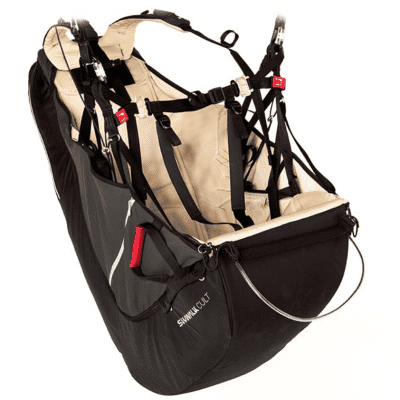 The lowest cost fully featured harness to buy, the reversible’s can be considerably more with the pod type being the most expensive. 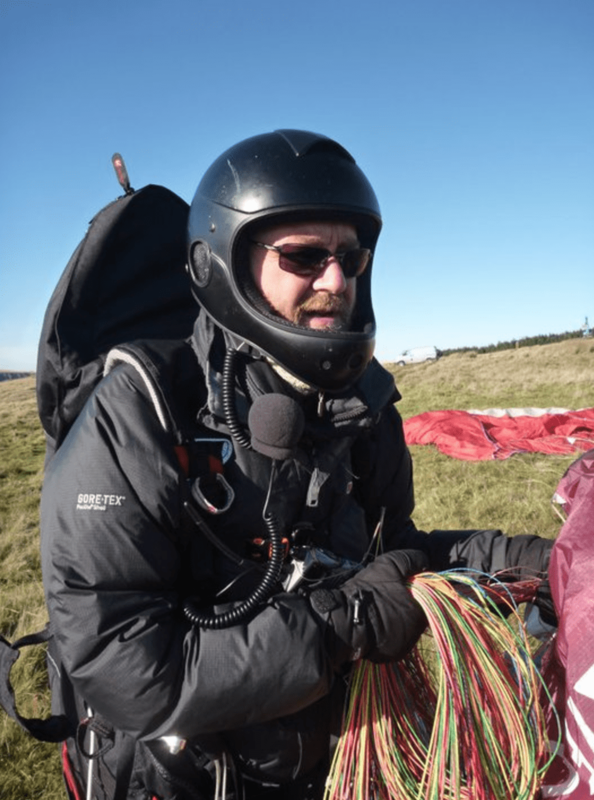 I have been involved in paragliding full time since the very beginning of the sport in the UK. I have been instructing full time since 1993 but I am now available as a mentor if you need me, completely free of charge. Helping paragliding pilots new or old, is my way of putting back into the sport which has given me such incredible experiences all over the world and I want you to be able to share in that. If you need any advice, just write in the chat box found on this site and I’ll get back to you either immediately or when I’m back in the office.